♦ Fast and accurate: in 1 minute ! ♦ Measurements on 10 to 20 gsm samples of white rice or cargo. ♦ Ready to use, copes with the with european standards. ♦ All the results and images are saved and exploitable with a spreadsheet. 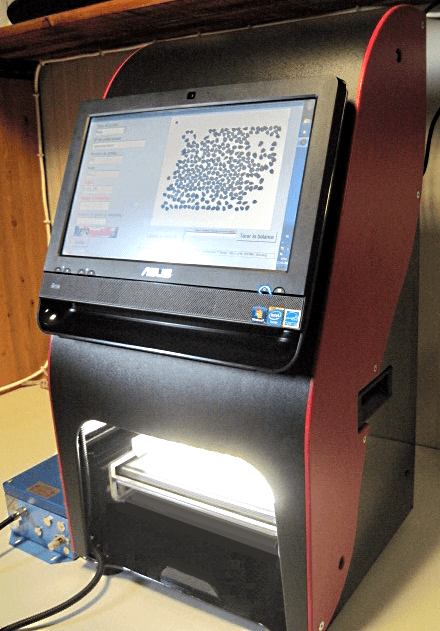 ♦ Bar code entry for scanning of sample identification. (broken = <75 % of the mean length). 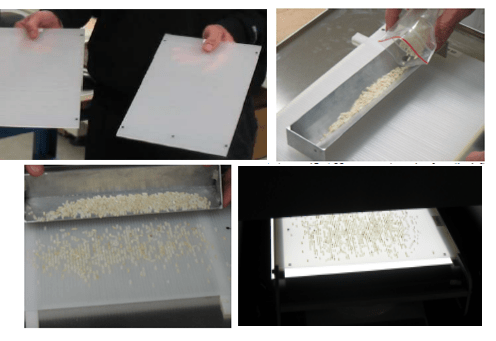 Pearled and chalky grains Precise estimation of the pearled and chalky grains rate compared to the total weight of analyzed white rice. This function is adjustable (choice of calibrations) by the user. 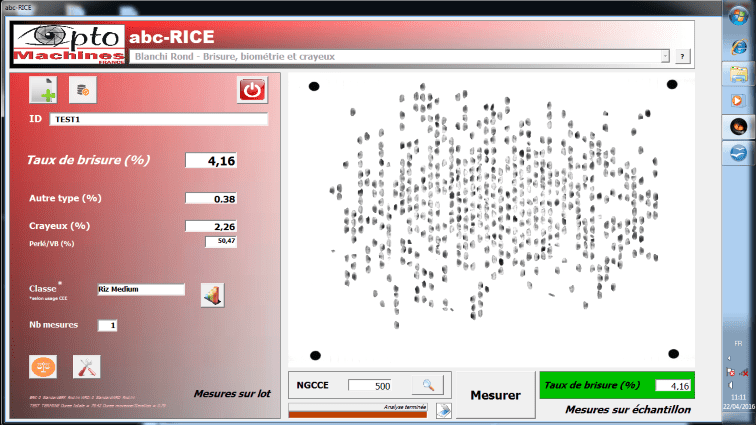 Automatic classification Global classification of the sample based on the mean biometry of the whole grains, according to ISO 6646: round, medium, long A, long B.